The three-time women's college basketball player of the year will be the first female basketball player to represent the Jumpman. 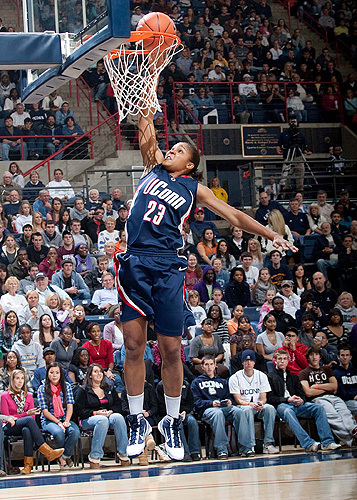 When you think of the Connecticut Lady Huskies' all-time college basketball record of 90 consecutive wins, Maya Moore should be the first name that comes to mind. The three-time Player of the Year helped guide the Lady Huskies to four-straight Final Four appearances, two National Titles and two undefeated seasons. Her overall college record was an astounding 150-4. 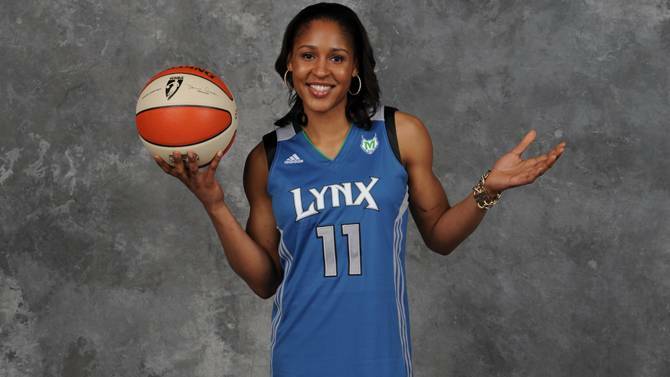 As a result, Moore was chosen number one overall by the Minnesota Lynx in the 2011 WNBA Draft. The Lnyx won't be the last team Maya joins this year, as she is now the first female basketball player to officially sign an endorsement deal with Michael Jordan and the Jordan Brand. Moore joins U.S. Paralympics standout April Holmes as the lone females representing a brand that is clearly looking to expand into some unexplored territory. Back in February, Jordan Brand signed NASCAR driver Denny Hamlin to a deal for the 2011 season. Terms of Moore's deal weren't disclosed in the press release issued on Wednesday. Stick with Sole Collector for new developments and news about what we might see her wear on the court for the 2011 WNBA season.